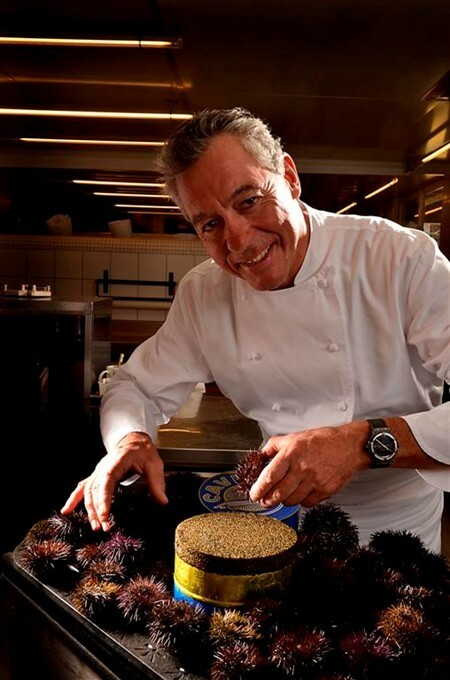 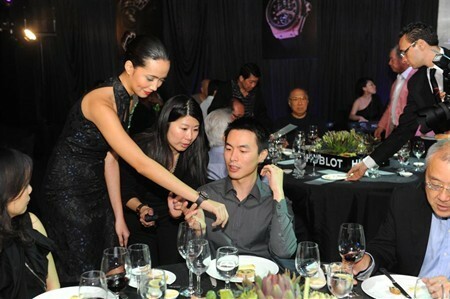 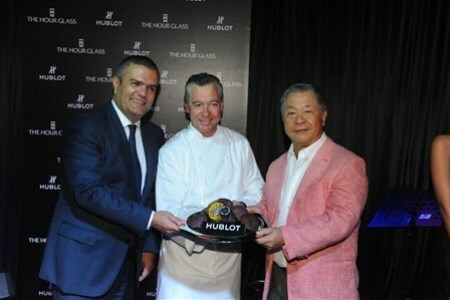 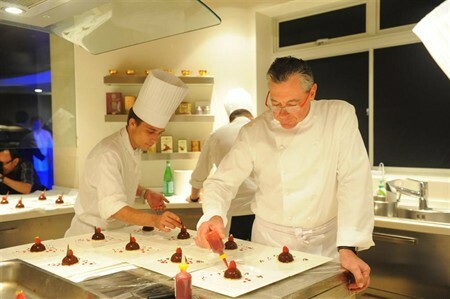 In an extravagant showcase befitting the diamond-studded object of the presentation, Hublot flew in Michelin-starred celeb chef Philippe Rochat and his culinary team to cook for invited guests and friends at the Singapore launch of the Hublot Big Bang Black Caviar. 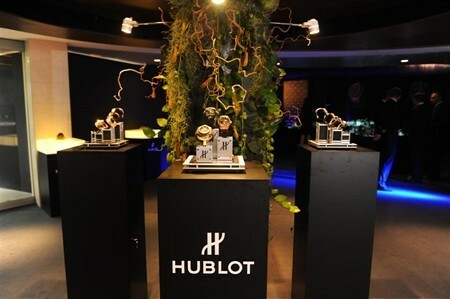 Held at St. Regis Singapore, the dinner saw Philippe Rochat of Restaurant de L’Hôtel de Ville in Crisser, Lausanne fame preparing exquisite caviar dishes for Ricardo Guadalupe, Managing Director of Hublot and Dr Henry Tay of The Hour Glass Singapore, who were gathered with other Hublot fans to witness the unveiling of the brand’s blinged-out timepiece, the 41mm Big Bang Black Caviar. 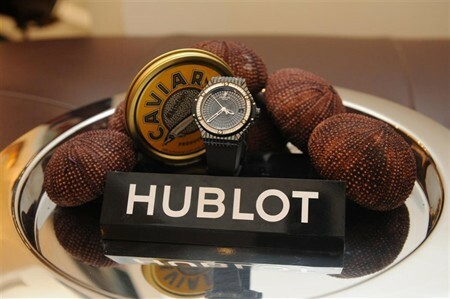 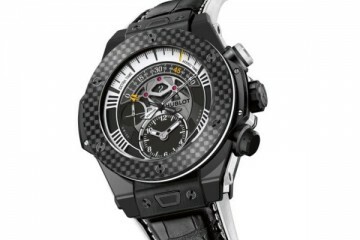 Sporting a bezel wrought from polished black ceramic and set with 48 baguette-cut white diamonds with a total weight of 2.23 carats, the Big Bang Black Caviar is mounted on a robust black rubber strap and equipped with the HUB1112 automatic mechanical movement. 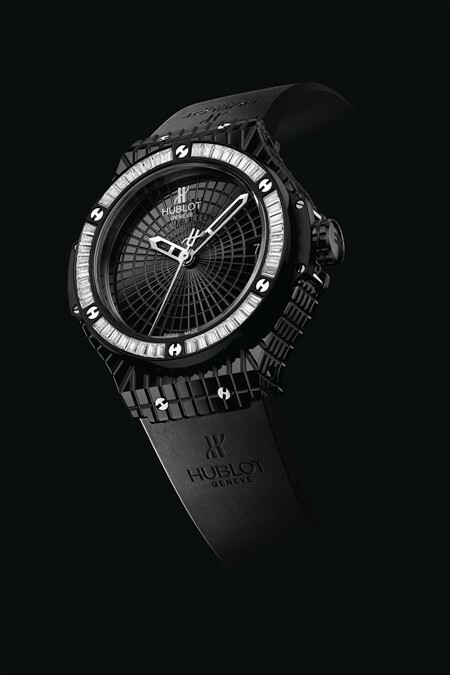 If you’re the sort who can bear to dive with a watch of this caliber, you may be pleased to know that the Big Bang Black Caviar is also water-resistant to a depth of approximately 100 meters.